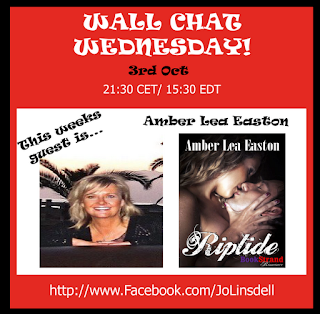 This weeks Wall Chat Wednesday special guest is author Amber Lea Easton. 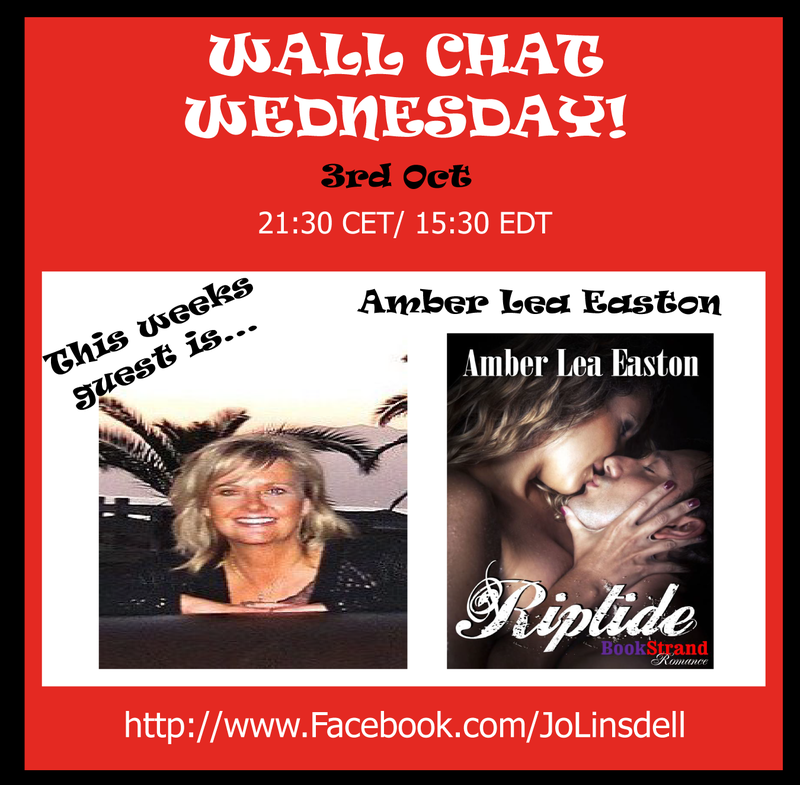 Join us today on my Facebook page at 9:30pm CET where we'll be chatting about her latest release Riptide and more. 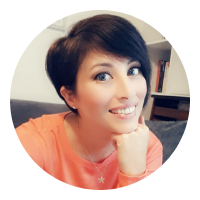 As always you are welcome to post your own questions for Amber directly to the wall during the chat.